Colleen is an attorney licensed to practice in all California state courts and many Federal Courts. 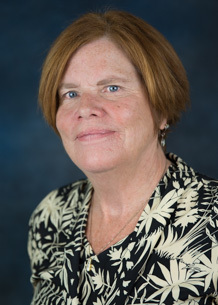 She teaches BUS 207 (Business Law); BUS 424 (Accounting Ethics); and BUS 404 (Government and Social Influences on Business). She is a graduate of University of California, Santa Barbara, with a double major in Psychology and Spanish, where she attended the Universidad de Madrid during her junior year. She attended University of San Francisco Law School in their evening program, as a single mother raising two small children and working full time. After graduating, she was admitted to the California State Bar in 1992. Before being admitted to the bar, Colleen worked for nearly two decades as a Business Manager for media corporations (overseeing accounting, human resources, and general administration) in radio, television, and the recording industry primarily in the San Francisco Market, but with a brief stint working for Sir Richard Branson, managing The Manor Recording Studio in Shipton on Cherwell, Oxfordshire, England. Colleen’s 25 years legal experience is as a trial lawyer representing individual clients and classes of clients in class actions in the areas of business torts; predatory lending; securities violations; contract disputes; products liability; catastrophic injury and police misconduct. She is the former President of the Business Torts Section of the American Association of Justice, a member of the Million Dollar Advocates Forum, a former Deputy Commission with Peninsula Pop Warner, and a Former Judge Pro Tempore of the Santa Clara County Courts. In 2008, Colleen and two of her partners disassociated with their former law firm in San Jose, California, to form their own women-owned and managed firm, Morgan, Duffy-Smith, &Tidalgo LLP, in San Jose, from which Colleen retired in 2016 and relocated full-time to the Central Coast. Ms. Duffy-Smith is bilingual Spanish/English, and currently volunteers as an attorney with the San Luis Obispo Legal Aid Foundation in their Senior Services Project.